Let me preface this post by saying it really has nothing to do with my partner. More so how much I prefer the use of the word partner to the term boyfriend/girlfriend/fiancé/husband/wife etc. No Pressure: This may just be me, but I feel by using the term partner the pressure is off. I don’t feel pressured to do what society or family/friends think I should be doing. It’s great! I feel like I can truly focus on the relationship part of a relationship! Woohoo! 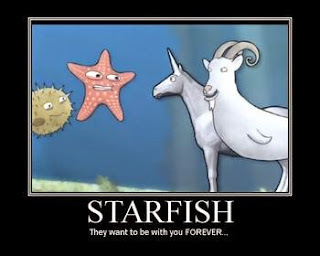 “So When Are you ______”: This has to be the biggest difference I notice when introducing my significant other to people. When I say, “This is my boyfriend ___” I tend to get bombarded with questions like, “How long have you been dating?”, “When are you getting engaged”; etc. I have friends that are engaged or married, and they’re often asked, “When’s the wedding?”, “How long what you been engaged?” “When are you having children”; etc. I have never once been asked these questions when I introduce my significant other as my partner. People do not focus on the stepping point of our relationship we “fall” into but instead, turn their focus on getting to actually know my partner. SHOCKER!! It's Not a Checklist People! : Why do I get the feeling that relationships are turning into a massive checklist? Maybe this is part of the reason some marriages fail? Congrats! You're dating! Then, woohoo! You're engaged. Next, you've gone and got married and popped out a few kids…what’s next? There really isn’t another milestone where you can level up in the relationship. If the relationship consisted of ticking boxes, it’s likely going to fail. No checklist=no pressure to conform to what’s expected within a relationship. For the first time EVER, I haven’t felt the weight of this “checklist”. So what if I choose to not have children. Who cares if I don’t ever get married! Who cares if we decided to move to Antarctica and adopt a bunch of penguins as children. We’ll do what we feel is best for us! 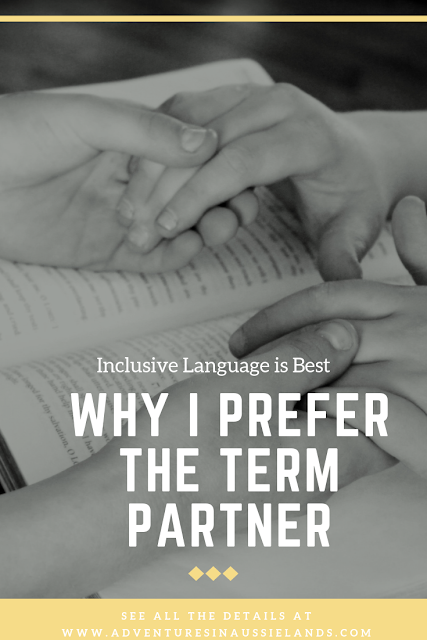 It’s an All-Inclusive Title: By using the term partner, you’re not singling out any group of people. Saying the word partner makes it, so there is no awkward looks or apprehensive discussions when you assume someone is heterosexual. That way there’s no awkward conversation about how you just assumed a person fell into a specific category. It Really is a Partnership: Sometimes I get the feeling that people are in relationships just to say they are. That totally defeats the purpose of being in a relationship. Yea maybe in high school or primary school it’s cool to say you have a boyfriend/girlfriend because that means you’re “mature”, but once you hit your twenties, it really becomes more than your newest flavour of the week. By using the term partner, I honestly feel like we are equals in the relationship. He is the person I’m choosing to share my life with. He’s there for the ups and the downs. I value his opinion. It is not a one-sided relationship. It’s a partnership. Decisions are made together. Even simple ones like which planter we should put in the backyard for the herb garden! I guess at the end of the day it really doesn’t matter how you label your significant other. As long as you find that person who challenges you to be the best version of yourself, the person who wholeheartedly accepts and embraces your quirkiness, the person whom you can literally talk about anything, and there's no fear or judgement… what else really matters? Which term is most common in your country? Do you prefer the term boyfriend/girlfriend to the term partner or visa versa? Share your stories in the comments below! I feel you and I totally agree with these points here. I also feel annoyed by all these labels. It's as if they guarantee happiness and relational success. Tips I need to understand how to approach and who knows maybe start a good relationship. Those are actually great ideas for future posts. I know its something that many people struggle with so you're absolutely not alone! Can be a double edged sword. But if you are fine with this then who are we to judge hehe. Enjoy! I'm not quite sure what you mean by the term partner being a double edge sword. I think that's great that you choose to do this. Thanks for sharing. I use partner more than any other term to be honest, as does my other half. Girlfriend and boyfirend just sounds to ick! Yea I've found the older I get, the more childish to me the term girlfriend/boyfriend seem. That's not to say I wouldn't use them, they're just not my preferred terms. I like the term partner for my husband. It makes us sound like a team. You guys are a team! You're equals. This is such an interesting topic, and one I hadn’t considered before. I always refer to my husband as spouse or hubby, but in reality, he really is a partner. Marriage is one of the strongest partnerships there is. I’m curious to read the viewpoints of others as well! Society is putting labels on too many different things these days. It's not a good feeling when you have to explain something as simple as a relationship. As long as you love each other and respect each other, that's all that matters. Boyfriend and girlfriend is what is most common here. Labels and cultural norms/stereotypes definitely lead to added unnecessary pressures. You're right as long as you love and respect each other that's all that should matter. Unfortunately, cultural norms can challenge that. I do love the term "partners". I feel like you should have a partnership with your significant other and it definitely helps ease some of the stereotypes people have on people and their relationships. It really does change peoples view of the relationship when you use that term. It holds a really tight bond with the word. I think more couples needs to get of this type of stuff. It is a battle of communication and sensitivity. This is completely beneficial. You are definitely right that partner is more inclusive than anything. I love that about the word. I also love your point about how it stops people from asking about your relationship status. People can be so nosy.